Boston may be New York's long distant relative as far as fashion goes, but we certainly do try, and we at MsFits think it's high time we boast to everyone about how damn good we're all looking these days. We're excited to bring you our first ever Ms. Who What Wear Feature to showcase who is wearing what to where. 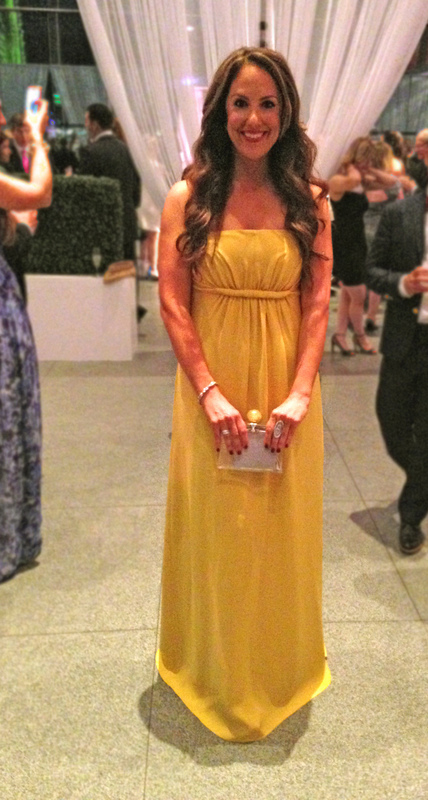 The perfect place to start was this past Saturday night's, Museum of Fine Arts annual summer bash. And oh what a bash it was! The decor, beyond chic; the art, beyond unforgettable; the music, DJ'd by AndrewAndrew of NYC fame and the fashions... let's talk about the fashions! An eclectic mix of highs and lows, short dresses and long gowns, enough Choos to fill the the Garden and all of the beautiful colors! We're wearing: Jess- Giorgio Armani tank, Alice and Olivia skirt, Emilio Pucci purse and cuff, MeleneKent necklace and Jimmy Choo heels. Alisa- Alexander Wang dress, Roberto Cavalli heels, arm band from NYC and headpiece from St. Thomas. 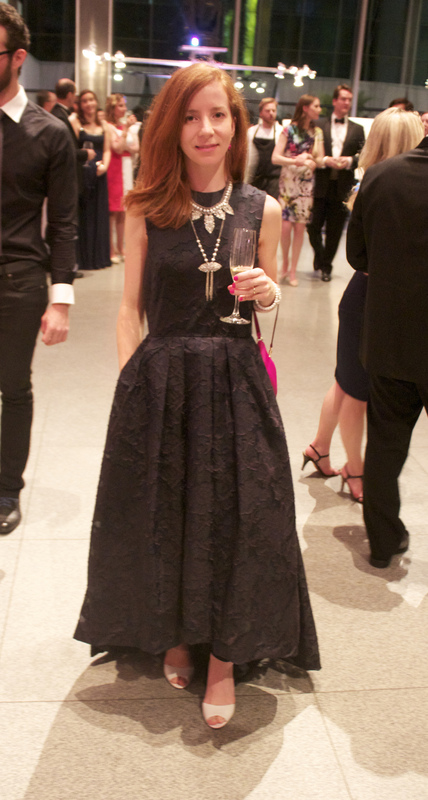 Gina Morda, Co-Chair of the MFA Summer Party, in a Derek Lam dress, Tiffany diamond earrings, own diamond rings and bracelet, and lucite clutch handmade by Gina herself. Adrienne Schlow, Artist, in a Lanvin dress, her mother's vintage jewelry, Camilla Skovgaard heels. Laura Baldini, Real Estate Broker, in a Calypso St. Barth gown, black pearl, silver and wood bangles from Alan Bilzarian and Yves Saint Laurent heels. J.C. Monahan, Anchor for NewsCenter 5, in a Monique Lhuillier gown and Swarovski Crystal earrings. Abby Cushman, Exec.Assistant to the Managing Partner at Trinity Partners, in a Michael De Paulo gown, Shreve Crump and Low earrings, clutch from Saks and Jimmy Choo heels. 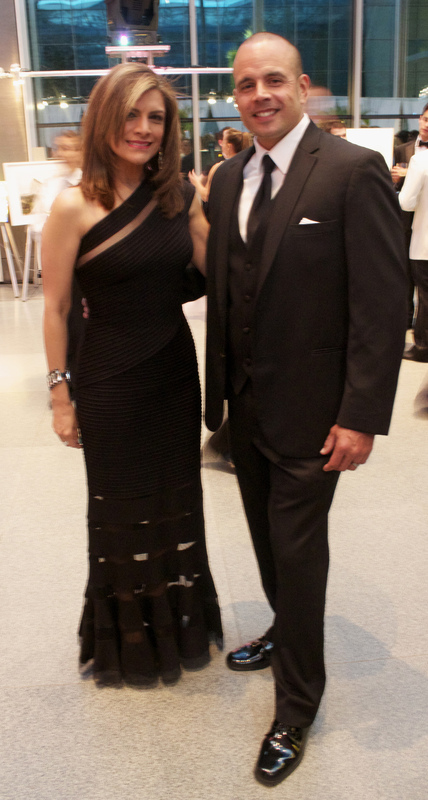 Sara Suarez and husband, Anchor and News Director at Univision, in a Cache dress and Jimmy Choo heels. Magdalena Stokalska, Jewelry Designer, in an H&M gown, her own design necklaces, Michael Kors bag, Schutz heels. Sarah Kim in a Roberto Rodriguez dress. 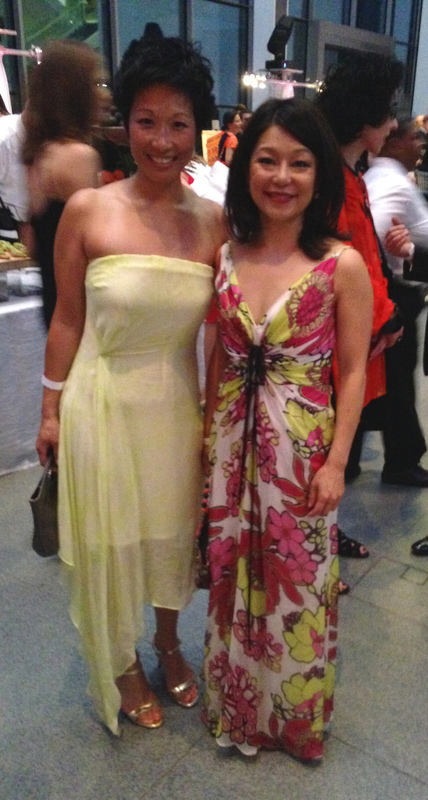 Janet Wu, Anchor at Channel 7 Boston, in a Melinda Eng gown. 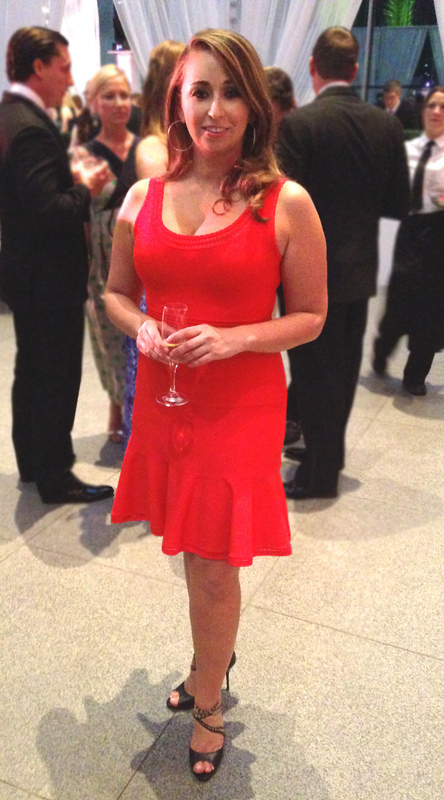 Tanya Shnaydman, Director of Corporate Development at Iconic Therapeutics, in a Diane von Furstenberg dress and L.K. Bennett heels. Brendan Ciecko, Entrepreneur, in a Ben Sherman suit, madras bow tie and (my fave of the night), Vivienne Westwood shoes.